In early March, European media outlets picked up a shocking story about nuclear power – a story so horrifying, it seemed as if Halloween had come early this year. This news, in fact, stands to jeopardize the health and safety – the very lives – of Europeans and others throughout the world… including, quite sadly, those living in the US. The mainstream media, long considered the mouthpiece for corporate and government interests, has failed to cover this macabre-yet-real life news. As such, few Americans seem to have any clue about the catastrophic danger now being cooked up from coast to coast – and many points in between. And even though we may not know it yet, Europeans are keenly aware of this clear and undeniable danger. And by danger, we’re talking about nothing less than the next Chernobyl-in-the making. The story begins with the nation that gave us the Statue of Liberty Enlightening the World, an eternal gift standing in the New York Harbor, symbolizing freedom and democracy. Now, our French friends have a new type of gift to give – a gift everlasting… albeit, a “gift” of an entirely different sort. This new present – offered in a still unproven, trial package – does not symbolize freedom and democracy, but rather, unfathomable greed and unconscionable, utter contempt for human life and all life forms on the planet. No doubt, the statuesque green lady overlooking the Hudson River and Atlantic Ocean sheds silent tears her forefathers in France will never see. Instead, today’s French leaders now conspire to do serious, irreparable harm to the good people of America – Ms. Liberty’s new home over which she has stood watch for the past 125 years. This fire-breathing behemoth is none other than the primarily French government-owned nuclear giant, Electricite de France, (EDF) which merits this distinction not merely because it operates 59 nuclear reactors in France – a relatively small country slightly less than twice the size of Colorado. Bound and determined to remain the world’s premiere operator of nuclear generated power, the disdain of anti-nuclear activists “in the know” stems from the fact Nuclear France has several new, experimental reactors both under contract and under construction in several nations. Now, by experimental reactors, we’re talking about untested designs being marketed as “safe.” And it is one design in particular that has many scientists and physicists throughout the world losing sleep and popping antacids, wondering how in Hades to stop these disastrous monstrosities from ever being built. Specifically, throughout the world EDF has experimental EPRs under agreement and/or construction in France (2), Finland (1), Italy (4), the UK (4), China (2), and the United States (5), with 65 nations currently being “targeted” as the next suckers to buy into the deadly scam… namely, the purchase of double-sized, 1,710 Mega Watt (electrical), 5,490 Mega Watt (thermal – as in heat discharges, which contribute to global warming)2. Bear in mind there is no guarantee whatsoever that the new design will even work… never mind operate safely. EDF has itself admitted that the EPR is an experiment – actually going so far as to advertise on its website that the EPR now under construction in Flamanville, France, is being built as a “test.”3 Likewise, in the US, EPR experiments are planned for American guinea pigs, with the first US test. In 2009 approval for the first US EPR was granted to the Department of Energy’s willing accomplice, Maryland’s Public Service Commission4 at Calvert Cliffs in Maryland, outside Washington, DC. Next up for more US EPR experiments will be: Bell Bend/Susquehanna in Luzerne County, PA; Nine Mile Point near Oswego, NY; Callaway near Fulton, MO; and another location yet to be announced in the Fresno, CA area. New Nuke For California, Ya Say? If a California energy firm can call a future Chernobyl-machine a producer of “clean energy?” Then a critical nuclear disaster sometime down the road will be anything but a walk in the [energy] “park” in a nuclear corporation’s radiological plans for California. But by talking about the EPR Chernobyl-esque problem at hand, we’re getting ahead of ourselves. Returning to the “agreement” between FNEG and French AREVA to construct an experimental EPR near Fresno, a moratorium on the construction of nuclear power plants was introduced in 1976. And, despite attempts to remove the ban on construction of nuclear reactors, apparently both FNEG and AREVA are downright cocky – and downright delusional – in their anticipation of future success in getting the nuclear moratorium removed from California law. When word of this deal with the Devil Francais gets out on the West Coast? History suggests that environmentally and health conscious, earth-loving Californians, faced with the EPR experiment being thrust upon them by an energy firm, political leaders-gone-bad, and the government of France, will nip this nuclear delusion in the bud. They’re then likely to resurrect this cause and chain themselves to trees if need be, like back in the olden days when the Anti-Nuke Movement rocked. Or, at least, one can only hope. What’s the Danger With This Big, Bad EPR? As reported by the UK,8 Wales,9 and France,10 operating the EPR under one mode of operation is a danger akin to another Chernobyl. From documents leaked by an EDF insider, we learn the experimental EPR is prone to a major – and deadly serious nuclear catastrophe. As reported by the French group which includes nuclear physicists, “Sortir du Nucleaire,” (The French Network for Nuclear Phase-Out)11according to calculations by both AREVA and EDF, the EPR reactor is essentially a nuclear accident just waiting to happen. In short, when the EPR is placed in the Instant Return to Power control mode while in low-power, this and the control rod configuration can cause the control rod clusters to be ejected during operation, creating both a rupture of the control rod drive casing and a high rate of broken fuel rods. This rupture would cause the reactor’s coolant to leak outside the nuclear vessel, creating a high risk of a critical, major nuclear accident, resulting in mass dispersion of deadly radionuclides in the atmosphere – radioactive poisons that would spread in the air and water throughout the world. Documents on the Sortir du Nucleaire website prove this very Chernobyl-like explosive risk is motivated by the desire to provide an economic justification for the construction of the EPR. In other words, in order to generate power that adapts to economic demand, (i.e., make more money) when the reactor power is handled in the extremely brutal manner by changing low-power operation to a rapid increase caused by amping up the power using the Instant Return to Power mode, this creates a severe operating hazard for the EPR. And the worst part of all? What almost defies belief is that the French state (i.e., EDF and AREVA) is keenly aware of this lethal design(!) as it has reportedly tried to correct this dangerous flaw. It apparently matters not that these efforts have been unsuccessful to date, as amoral agreements made for the construction of new EPRs only continue. For those too young to remember, the Ukraine reactor exploded on April 26, 1986, burning the full gamut of deadly radioactive materials and nuclear fission products continuously for 10 days, with massive radioactive emissions continuing for roughly another 10 days. According to a new book put out by The New York Academy of Sciences, “Chernobyl: Consequences of the Catastrophe for People and the Environment,”13 this phenomenal work, edited by ionizing radiation expert, Janette Sherman-Nevinger, M.D.,14 radioactive contamination from the Chernobyl explosion and subsequent fires spread around the globe. At least three billion people – nearly half the earth’s inhabitants – are living in areas contaminated by Chernobyl’s radioactive fallout. 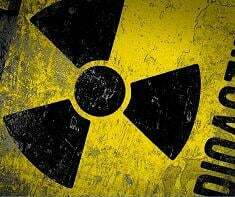 Some of the radioactive chemicals, such as Uranium 235 emitted by the Chernobyl explosion and fires into the environment and atmosphere, will be around for billions of years. The death toll attributed to Chernobyl’s radioactive poisons through 2004 was estimated at around 824,000, with the numbers only climbing in the past six years. Mortality from this single nuclear disaster will climb ever higher still – well into the millions – for countless generations to come. Beyond mortality, however, diseases caused by Chernobyl’s radiological fallout are not, as some anti-nuclear organizations would have us believe, restricted to cancers and leukemias alone. Chernobyl – as well as all forms of manmade radiation, like “conventional” Uranium weapons used in warfare in Iraq and Afghanistan and in so-called “testing” in the US and other nations, have been shown to cause all manner of diseases, as a direct result of ionizing radiation’s devastating impact upon our cells, organs, and human body systems. To appreciate the sheer magnitude of Chernobyl’s ionizing radiation impact around the globe, some radiation-induced diseases and disorders include: the circulatory system, endocrine system (including metabolism, growth, thyroid, obesity, and diabetes), immune system (including AIDS), respiratory system, urogenital tract, reproductive and fertility, muscle and skeletal system, central nervous system (including diminished intelligence, behavioral, and mental disorders), eye problems (including cataracts), digestive tract disease, congenital malformations and anomalies (including birth defects), thyroid cancer, other malignancies and blood disorders, various serious illnesses, increased infections, respiratory viruses, hepatitis, parasitic diseases, mutations causing cell and genetic abnormalities, and premature aging. In other words, Chernobyl, the worst manmade disaster of all time, is very much still with us, still very much within so many of us… not merely for the past 24 years – but for many, many generations to follow. So as we and, no doubt, our descendents will be routinely told when we have a disease or disorder of one type or another either: (a) We are darn unlucky to have inherited “bad genes,” or (b) It’s all our fault, as we have must be making poor “lifestyle choices.” Even med school students (or perhaps *especially* medical students) are not well educated in the hazards of the full radiological assault on North America. Enabling the EPR to multiply and flourish includes “cooperation” and approval at the county, state, and federal levels. This include the “selling” of the American people to embrace an absurd design accommodating the use of Plutonium fuel (yes, Plutonium!) disguised under the benign sounding “MOX.”15 It’s almost as if Uncle Sam, in some kind of sick and twisted, post-Cold War competition with the former Soviet Union, is in a maniacal race to manufacture the next Chernobyl – a race that defies all logical, all sensibility, all reason, and clearly any semblance of a working conscience. “My Chernobyl is bigger than your Chernobyl!” one can almost hear the American nuke-pushing sociopath bullies boast with exuberant glee as they scurry to escape future nuclear fallout – like dirty sewer rats down into the tunnels and subways that exist underground below the National District of Crime. And thus, when future history books recount the definitive end of the US-Soviet Cold War (not to mention the end of life as we know it on earth)? American pro-nuclear advocates (if there are any left breathing, that is) will be able to puff out their chests and proudly brag how they showed those Pinko Commies how, in the Grand Ol’ US of A, we can create a far bigger and better radioactive reactor bonfire than the Russkies any day! Certainly, even for those who have no aversion to nuclear power in general, France’s mega-sized EPR spells trouble – big trouble – for the US and the rest of the world. The responsibility to stop what will one day most certainly be the largest Chernobyl ever created rests squarely upon the shoulders of all of us – that is, the vast majority of Americans of conscience. Of this one thing we can be certain. If we allow the nuclear-crazed authoritarians in power to build and operate even one “Chernobyl in a Box”… we will only have ourselves to blame for the certain eventual, eternal devastation of not just the US… but also the rest of this beautiful world. As Les Blough reminds us,16 stopping new nuclear energy has been done before. Thus, we can – and simply must – do it again. It is imperative that we gather up our courage and determination and act immediately. Because absolutely more critical than even saving our own hides, we must protect the existence of all life forms on the planet… which truly do hang in the balance, depending upon which actions we take – or fail to take – in the here and now. To Chernobyl or not to Chernobyl? This is a choice we all now face. Sanity dictates we must say no to this “Chernobyl in a Box.” Granted, we have a difficult road ahead of us, as we are faced with a government that has been fervently nuking its own… steadily placing large amounts of radioactive materials in our environment continuously since the 1940s. Yet we must never forget one simple truth, one absolute fact: our elected officials and governmental agencies work for us. And, as such, we have every right to expect – and demand, if necessary – adequate safety and protection from harm. Thus, for all those with those working consciences, there really is no other choice but to take immediate action in a way that affirms the continuation of life on earth as we know it. And this involves doing the right thing, the only sane course of action. We must proceed with unprecedented, resolute, and active resistance until the day current reactors are closed down and the design plans and architectural renderings for all future EPRs and other Chernobyl-esque reactors are, quite naturally, recycled. The power of the American people must not be underestimated. In our lifetime [or that of our parents] we demonstrated this power and might to stop the Vietnam War. Similarly, citizens throughout the nation must make some huge noise opposing the EPR. It matters not where we live. Regardless of whether an EPR is currently on the table in our area, the pro-nukers have visions of birthing more EPRs across the country. Just one Chernobyl-type explosion will waste Americans from the Atlantic clear over to the Pacific. But even beyond the certain harm and horrific devastation from which we can never recover… we can not allow the construction of even one reactor that has the ability to obliterate the health, well-being, and very existence of not just Americans, but billions of people all over the planet. Please visit the Sortir du Nuceaire website to read the press release warnings and gather more information. Then, armed with this knowledge, please join me in going forth, manifesting our personal power, and saying a loud and equivocal “no” to the creation of the future American Chernobyl. 02. “Good and Bad Choices for Energy Policy and the Environmental Movement 2009-2010,” Morton S. Skorodin, M.D. 12. Bob Nichols is a Project Censored Award-winning writer and correspondent for the San Francisco Bay View, Veterans Today, and other news outlets throughout the world. 13. Chernobyl: Consequences of the Catastrophe for People and the Environment, Alexey V. Yablokov (Center for Russian Environmental Policy, Moscow, Russia), Vassily B. Nesterenko, and Alexey V. Nesterenko (Institute of Radiation Safety, Minsk, Belarus). Consulting Editor Janette D. Sherman-Nevinger (Environmental Institute, Western Michigan University, Kalamazoo, Michigan). Volume 1181, December 2009.